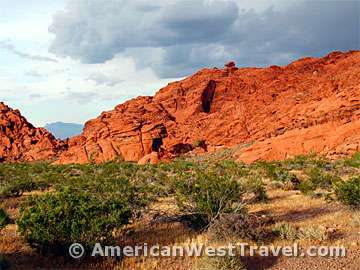 Nevada’s oldest state park, Valley of Fire State Park preserves a starkly beautiful section of the Mojave Desert noted for its brilliantly red sandstone formations including cliffs and petrified sand dunes. The red color is enhanced late in the day, near sunset. There are also petrified logs, ancient petroglyphs and, if you are lucky, superb wildlife viewing. 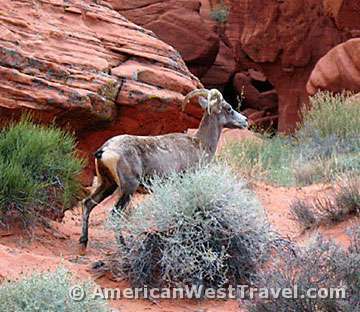 On our recent visit, we got lucky, seeing superb, brilliant colors right before sunset and a herd of bighorn sheep close to the road, right after sunset. Between the visitor center on the main park road (NV-169) and the Rainbow Vista area, the White Domes Roads heads into a shady, narrow jumbled canyon of very red sandstone. This is where we encountered a herd of desert sheep just after sunset. The herd of about six sheep was grazing the side of the road ahead of our vehicle. As we stopped, the herd crossed the road, continued to graze and very leisurely started climbing up the jumbled canyon wall. Their casual pace allowed for numerous superb photos at a relatively close distance. Our brief visit also included the main park road in the west side of the park. 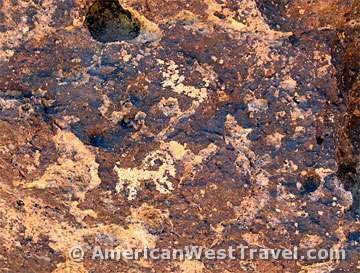 There are two campgrounds around colorful Arch and Atlatl Rocks where there are numerous opportunities to discover ancient Indian petroglyphs (etched rock art). There is a Petrified Log exhibit with some colorful fossilized tree trunks dating back 225 million years. However note the exhibit is fenced off. South of the main road, there is a group campground in and around the Beehives, colorful fossilized sand dunes. Activities here include hiking, auto touring, and photography. It is an open area, and camping or touring would be best in the spring or fall. Valley of Fire is near the north end of Lake Mead, and easily accessed from Las Vegas, 55 miles north off of Interstate-15. 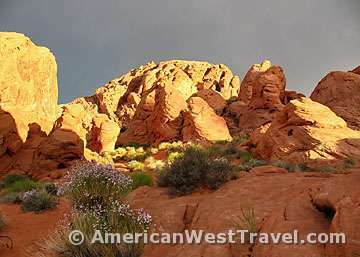 It is a good day trip from Las Vegas, or a stopover on the way to the Utah national parks. 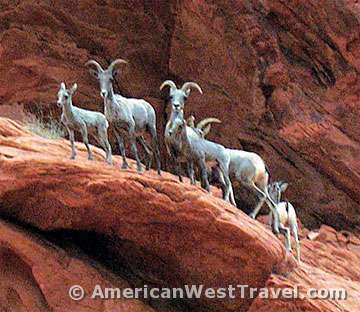 For more information, visit the Valley of Fire State Park – Nevada State Parks website.